You don’t need to put down your iPhone in to make moves toward your goals. With the right apps, you can accomplish a lot with the little time on your hands. I’ve been pretty productive these past few months—writing articles, going to school, working full-time, and having lots of fun (all key parts to following my dream to become a magazine editor and an influential blogger). The apps below are all ones that I personally use and have been keeping me on track. All of them are free and a few have paid, yet inexpensive upgrades. Need a personal cheerleader? 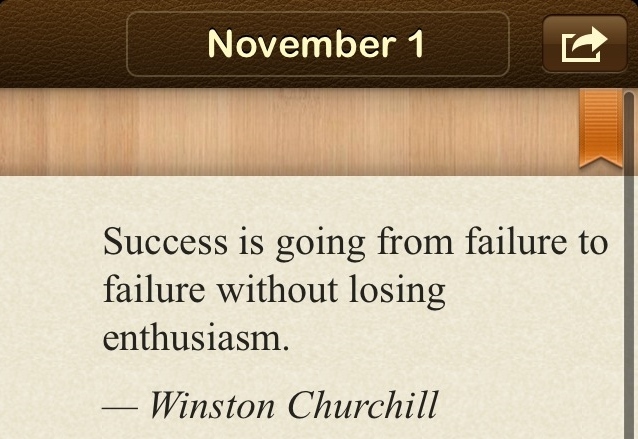 Motivation gives you uplifting quotes throughout your day. You can turn on its notifications so they pop up on your phone every now and then. 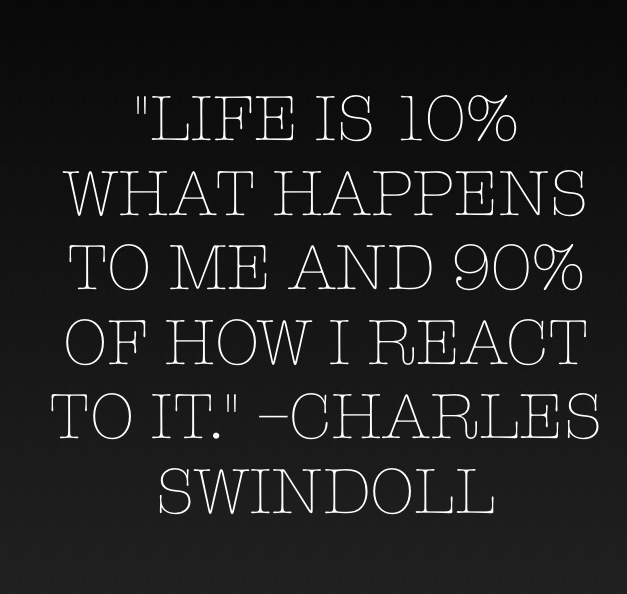 It’s also good for people who are obsessed with tweeting positive quotes (guilty—follow me anyway). Everyone needs a little optimism in their life; this app is perfect for that. This is the app for the type of person who gets a high from checking things off their to-do list (coincidentally, it’s my favorite app on this list and I use it every day. I even bought the paid upgrade). With this app, you create a list of things you want to do daily, weekly, monthly, and/or yearly. The app will tell you, based on how many times you want to do a certain task, how long it’s been since you’ve done the task and it’ll tell you when you need to do it again. When you swipe right, a bell rings and words of encouragement like “way to go” flash on the screen. Eventually, you’ll become like Pavlov’s dogs (and me) and live for the sound of that motivating bell. Good for phones and computers, evernote keeps all of your notes and ideas organized. The notes sync so you can access them from anywhere. It’s especially great for writers. 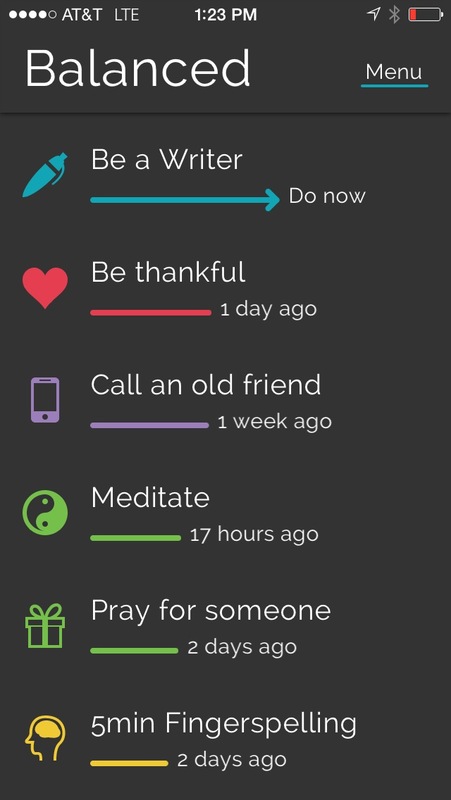 This app is like Motivation for the spiritual warrior. It has one daily quote and a related assignment of “awareness practice” to transform your life. Sometimes I do the assignments with my meditation, but I usually just use the app for the inspirational quote. SleepzZz is a REM sleep timer to make sure you wake up feeling refreshed. Great for people who need to rise early to get things done in the morning (or just to get out of bed). It’s been helping me rise at 6am every morning to write articles and blog posts before I head off to work. This app will help you calm down when you’re feeling stressed. 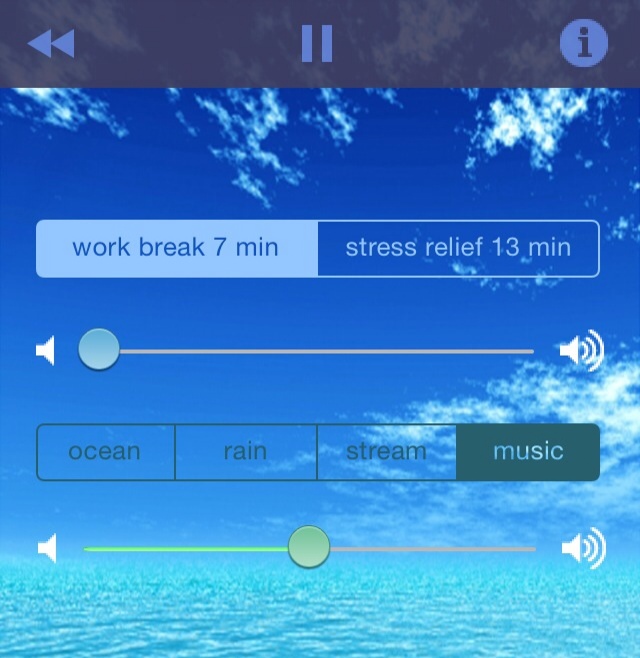 It’s a meditation app that’ll play music or sounds of rain, the ocean, or a stream while you relax. There’s also an option for a guided meditation lead by a woman with a soothing voice. A similar app called “Calm,” which pretty much does the same thing. I use both when I really need a break. Sometimes all you need is a change of scenery in order to be productive. Get out of your house or usual work space (because you’re probably distracted there anyway) and find a new coffee shop. Being surrounded by others who are also working, studying, writing a novel, applying for jobs, etc., can be motivating. 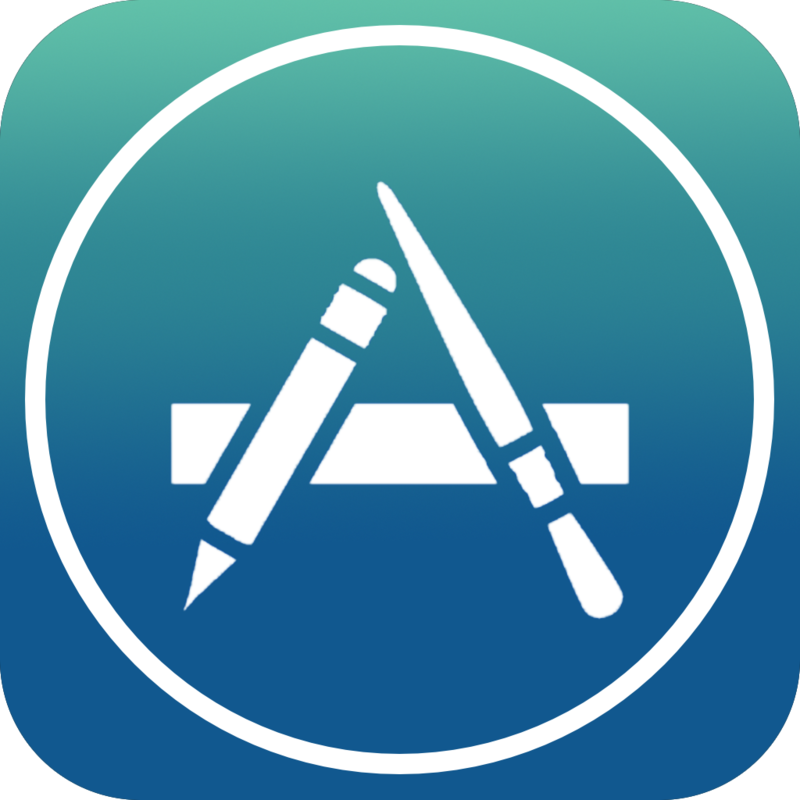 Have any apps you recommend? Drop them in the comment box or share your favorites on AWW’s Facebook page. Thanks for the feedback! That was a great chat. I love finding new blogs so #BGBChat was awesome. I’ll be sure to check yours out. Oops. I was recommending this blog? to a friend. I am not sure what your column is called. I’m old. How are you? I am finally feeling normal and back on track with my daily routines. Interestingly, I believe I was the first person out of Miami on a 3:15 to Boston. I arrived home around 10. I stayed up until 3 am for some strange reason. I hope you are well and back into the swing of things. I do not know if I recommended a Womyn’s Worth but if not, this is the latest post. Enjoy.